Dr. Taylor graduated from Auburn University College of Veterinary Medicine in 1976, and has practiced in Marion County since then. 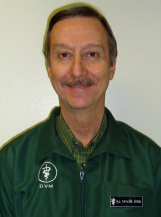 He is one of the original owners of Forest Veterinary Clinic which started in 1985. He is a member of the American Veterinary Medical Association, Florida Veterinary Medical Association and Marion County Veterinary Association. His other interests include gardening, fishing and spending time with family. Elena is the office manager and the heart and soul of the office. 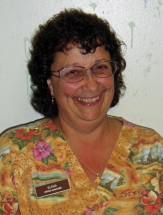 She has been with Forest Veterinary Clinic for 27 years. She enjoys the opportunity to care for the animals and people both, while educating them about animal health and wellness. In her free time she enjoys spending time with her grandson Elijah,cooking, gardening, singing and ATV-ing. She is devoted to her family, church and friends. Carol is a country-girl at heart. 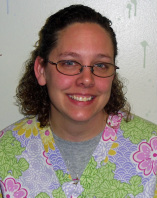 She has been working at Forest Veterinary Clinic for nearly 14 years and has enjoyed every minute of it. She says "It's not work, it's a love and a passion that is fulfilled every day by taking care of animals." She enjoys spending her free time with family,(Her new grandson Noah),friends and the critters at home. Her favorite hobbies are fishing and camping. 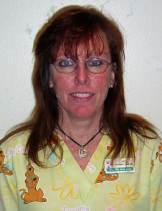 Melanie has worked at Forest Veterinary Clinic for 10 years now. She enjoys everything about work. Every day is a blessing and a challenge that is very rewarding. In her free time, Melanie likes working in her garden and spending time with family and friends. Her favorite hobbies are walking and scrap booking. If you get a chance, ask her about her new puppy Booma. Pam is currently working part-time, but everybody loves when she's around. She has worked at Forest Veterinary Clinic for 21 years now. While at work, Pam loves helping the animals, especially if it means cleaning out really dirty ears. In her free time she enjoys making jewelry, playing computer games, reading, and playing poker with friends. Thomas was our office cat and blood donor. 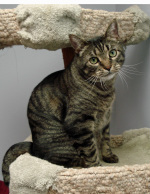 You probably remember seeing him laying in the cat tree behind the front desk. He was originally a rescue cat and had come a long way. He recently crossed over The Rainbow Bridge and will be missed by all of us. However he has sent us new Cat angels to carry on his job.